1. 100% real genuine leather material, no harmful substance. 2. Compact ,light-weight, durable and dust resistant to use. 3. Stylish new design, impressed and fashion look. 4. No need to remove the original faceplate. No screwdriver needed. 5. 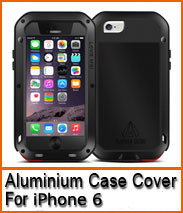 Perfect-fit for the Mobile phone , full body protection. 6. Easy to install ,smart design allows total accessing to all functions and buttons without removing your mobile phone from the protector case.